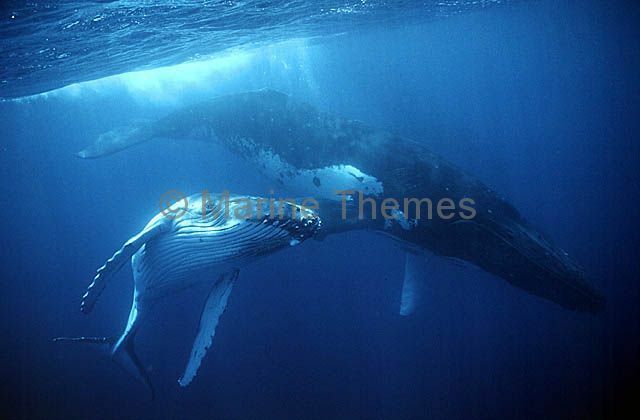 Humpback Whales (Megaptera novaeangliae) Mother and calf at the surface. 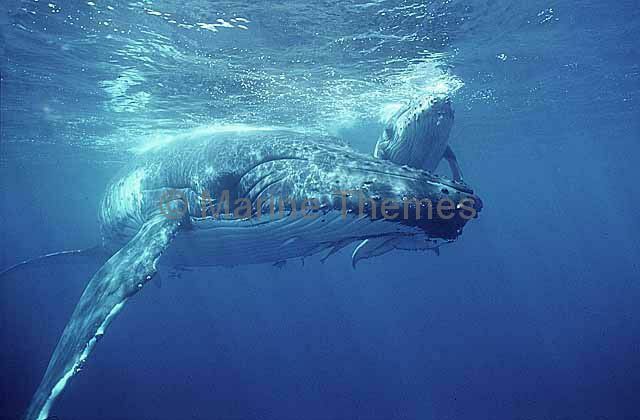 Humpback Whales (Megaptera novaeangliae) Mother with calf rolling on her side on the surface showing throat and belly pleats. 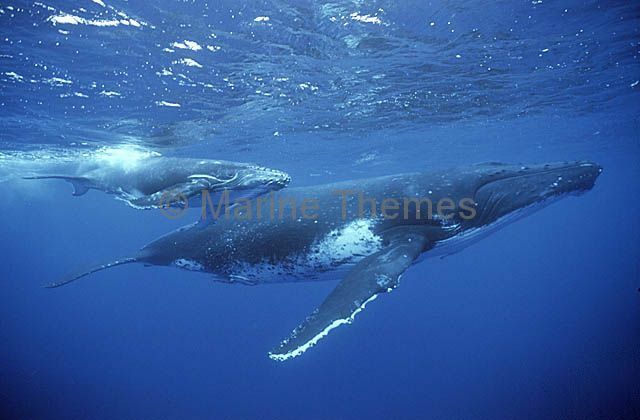 Humpback Whales (Megaptera novaeangliae) Mother with calf on the surface showing throat and belly pleats. 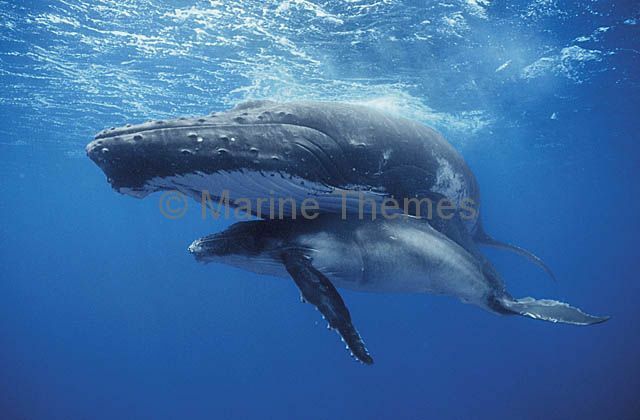 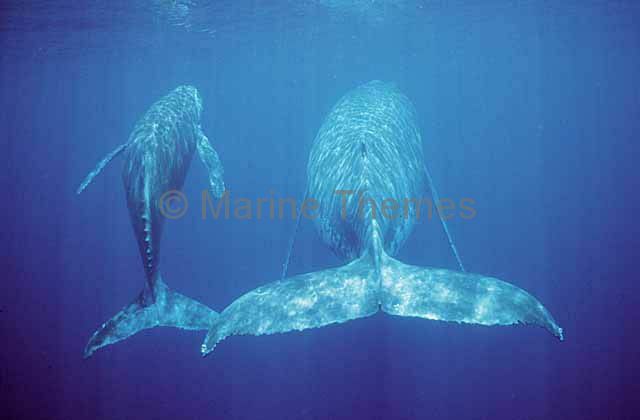 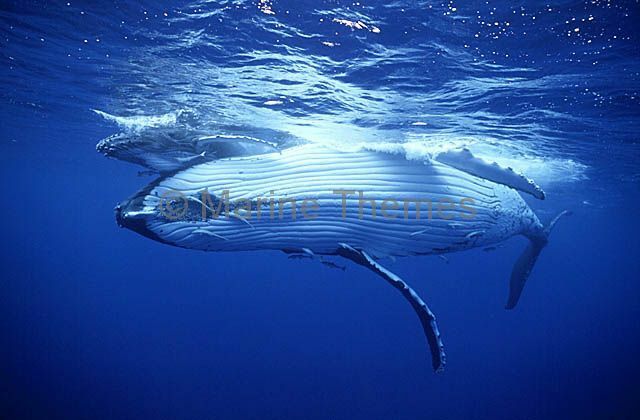 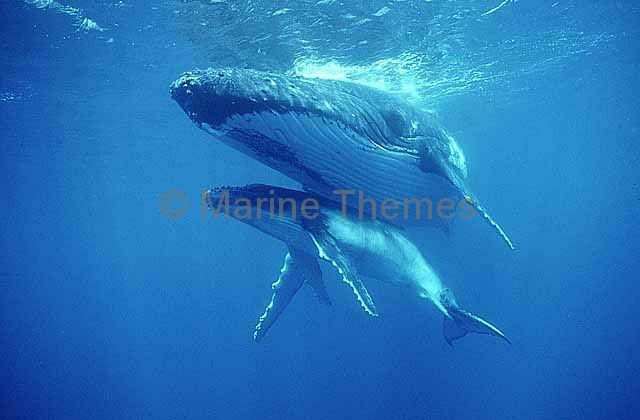 Humpback Whales (Megaptera novaeangliae) Mother and calf ascending to the surface to breath. 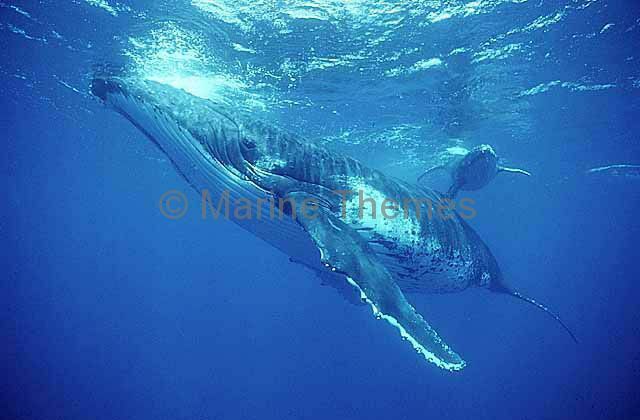 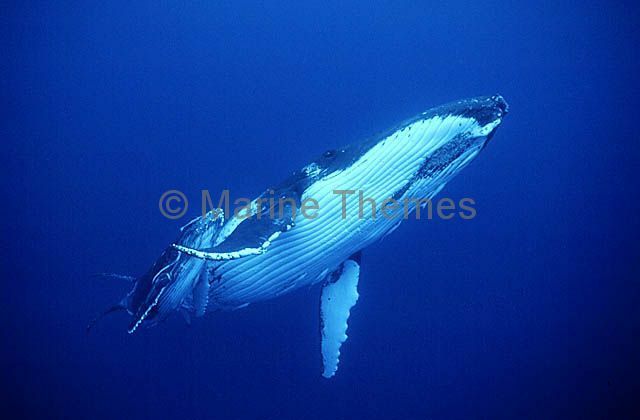 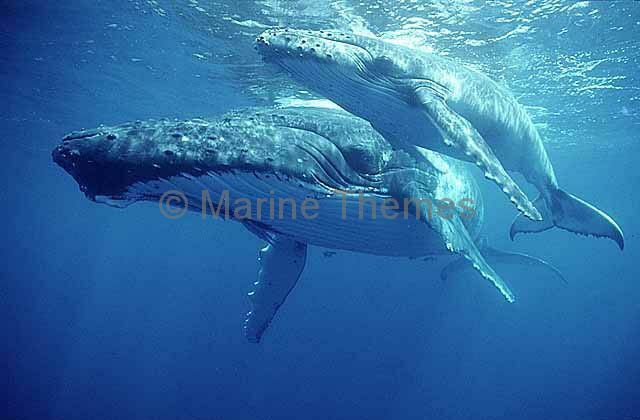 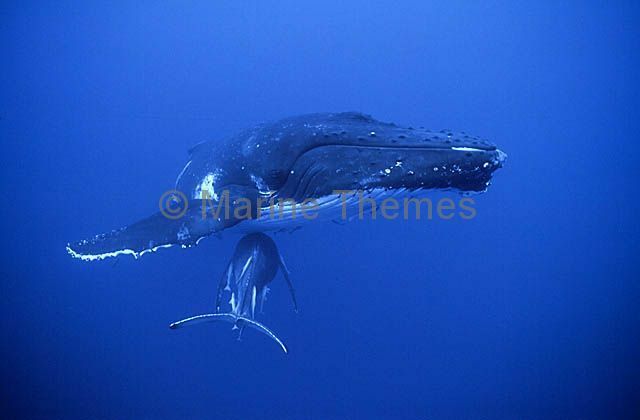 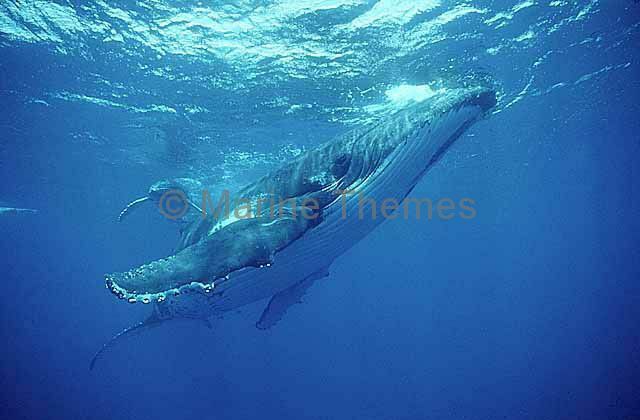 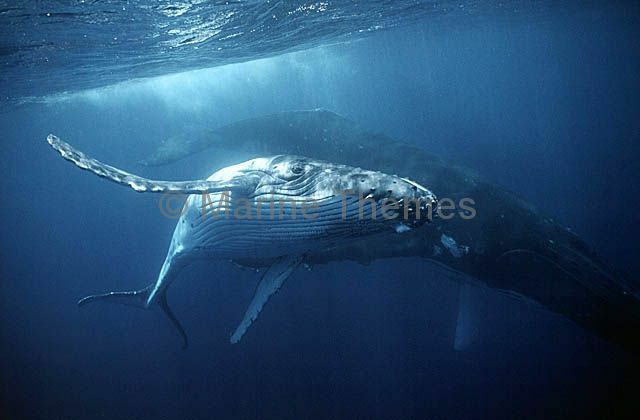 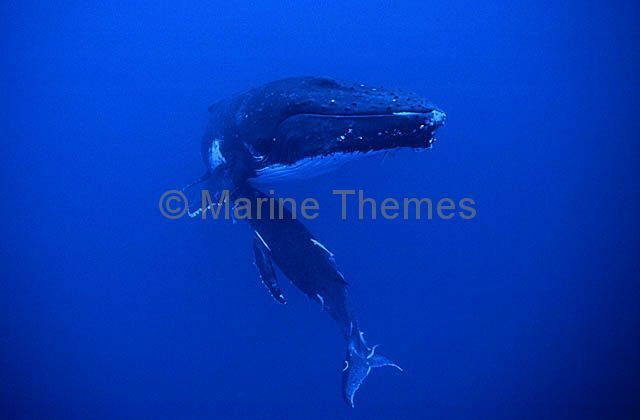 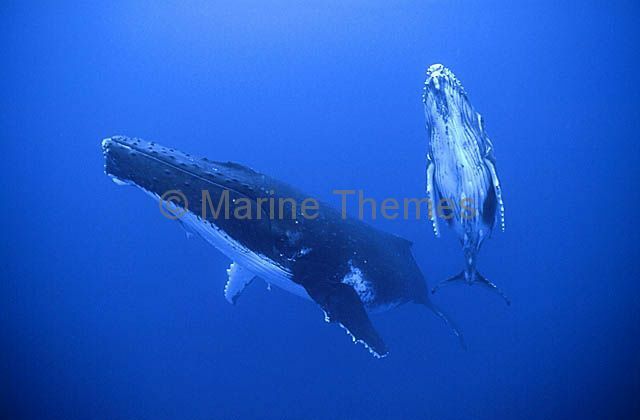 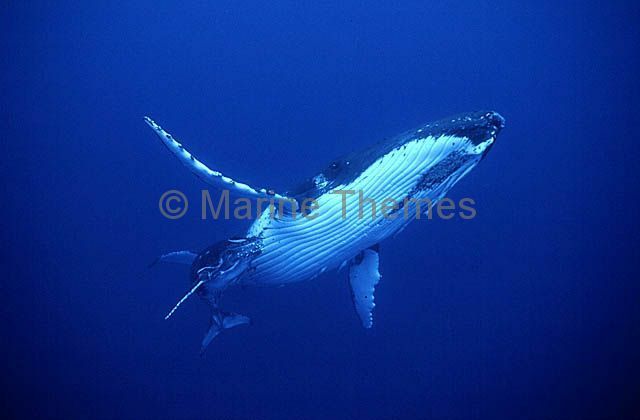 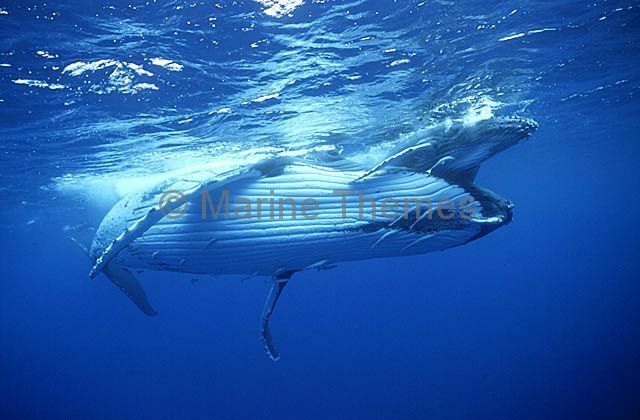 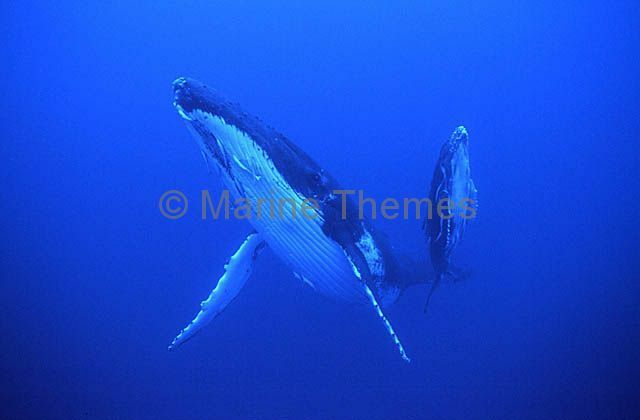 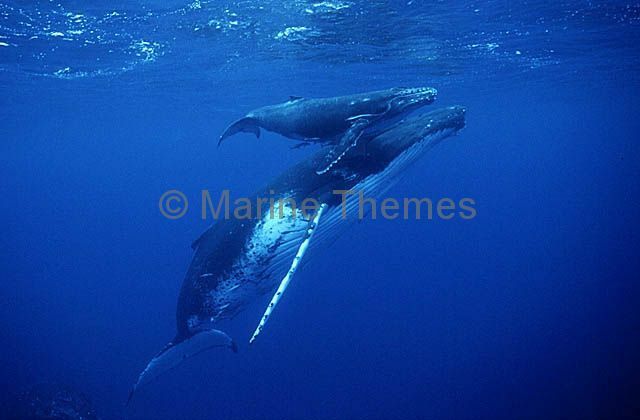 Humpback Whales (Megaptera novaeangliae) Mother and calf resting at 20 meters depth. 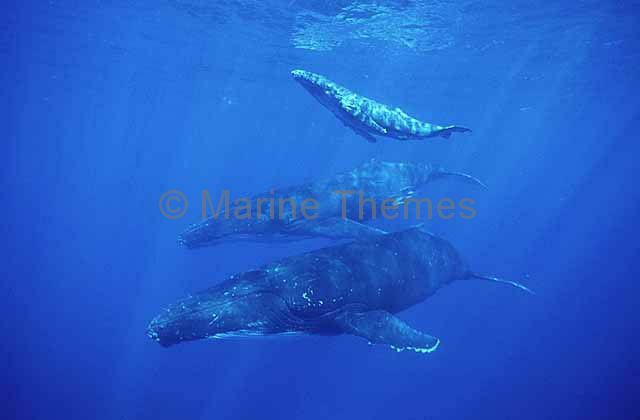 Humpback Whales (Megaptera novaeangliae) Mother and calf swimming on the surface.